Maca Powder has been an important staple in the diet of indigenous Andean cultures for over 2,000 years. It grows at altitudes above 10,000 feet where little else survives. 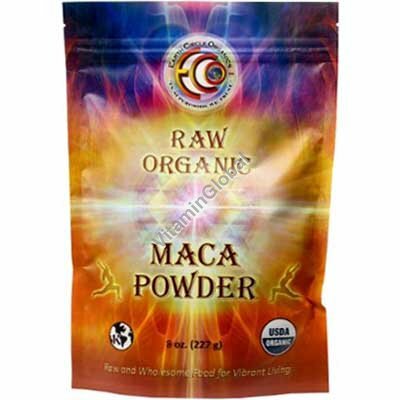 Maca is a root vegetable believed to help increase energy, reduce fatigue and improve libido. Ancient Incan warriors were legendary for consuming generous amounts of maca in preparation for battle, significantly maximizing their stamina and energy levels. Maca is an adaptogen, facilitating the body's ability to adapt to and regulate stress responses and balance hormones. Today, athletes of all types benefit from daily maca consumption. Earth Circle organics' Maca Powder is 100% raw and certified organic, packed with vitamins and minerals for healthy, sustained energy. Usage: Maca powder allows it to blend well with both sweet and savory recipes.